The Eastvaal Motors Group has 50 years' experience in providing superior service to all customers that have bought and serviced their vehicle through our facilities. We take pride in ensuring a seamless sales experience, technical staff trained to the highest standards and service parts availability. 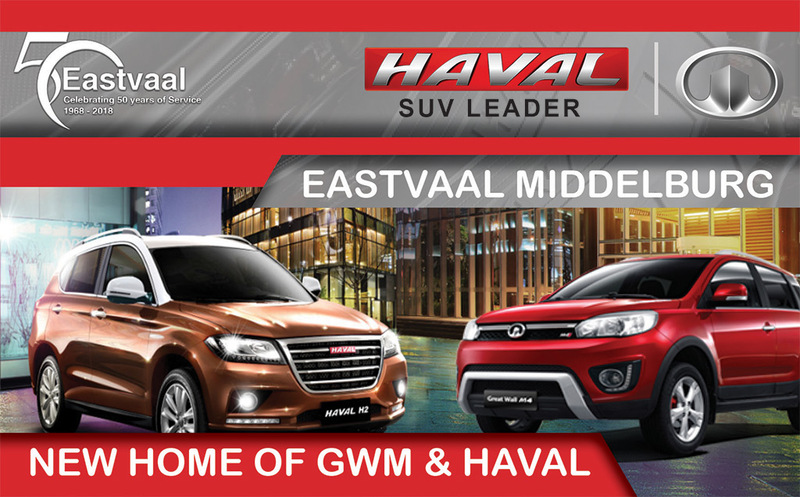 Eastvaal Middelburg is proud to announce that we are growing our current line-up with the inclusion of Haval & GWM. Our Service & Parts department are ready to provide outstanding customer service to all existing vehicle owner's ensuring continuity. Five stars - that's what Haval and GWM gives you for everything from style and sophistication to refinement, robustness & equipment levels. Don't hesitate, call us at Eastvaal Middelburg to book a test drive or a service booking today!